With 450 years of tradition, Kudzu powder is produced in the great culture and nature of Yoshino in Nara prefecture. Kudzuko is made from the purified starch of arrowroot, which is a leguminous plant used in traditional Japanese dishes including kuzumochi, mizu manju, and kuzuyu. 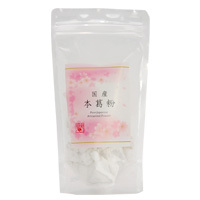 This product is made by a traditional method called Yoshino-Zarashi, a way of purification of Kudzu starch by refining and drying a number of times, using only pure groundwater during the cold season from mid December to the end of February. This is a food that passes traditional methods to the present generation. It is from ancient wisdom and tradition that kudzu is produced only in severe cold, as various kinds of minor germs are unable to breed in such low temperature. 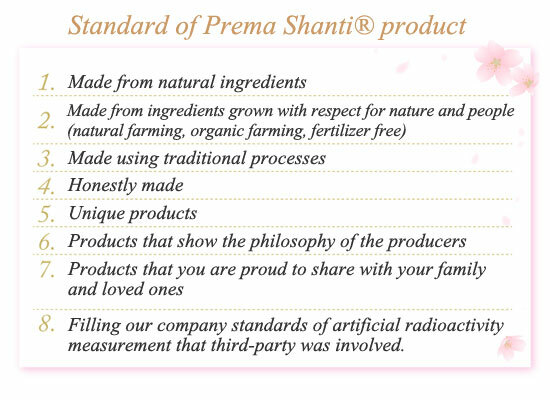 Only 100g of kudzu powder is refined from 1kg of kudzu root. This product is made from high quality kudzu root produced in Japan by traditional methods of purification, which makes it chewy, sticky and clear.